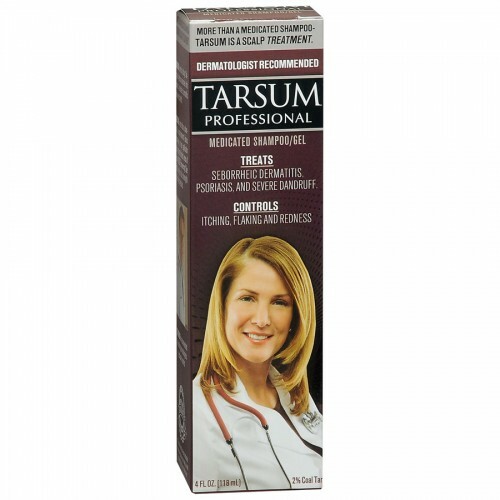 Controls itching, flaking and redness associated with psoriasis, seborrheic dermatitis and severe dandruff. More than a shampoo - it's a scalp treatment! use as a shampoo, or use applicator tip to pretreat affected areas of the scalp before bathing! Allows full strength treatment for up to an hour. When ready, simply add water, lather and rinse. No more waiting in the shower for your medicated shampoo to work! Recommended by leading dermatologists because it works! If Tarsum is not the best medicated shampoo you have ever used, we will refund your full purchase price. For use as a scalp treatment before bathing; twist open applicator tip. Apply evenly on affected areas. Leave on for 5 minutes, gradually increasing treatment times to 1 hour, or as directed by a doctor. Then rinse thoroughly with water. 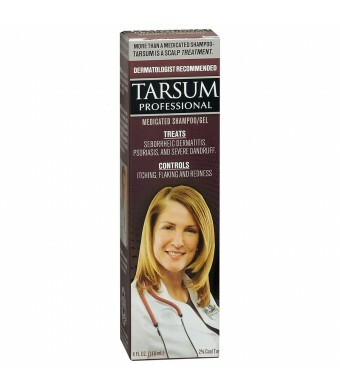 As a shampoo: wet hair, apply Tarsum up to 10 minutes, then rinse. Use daily until flaking and itching are under control, then at least twice a week or as directed by a physician.